One of the few dual rotating tillers on the market, the Husqvarna DRT900 offers the advantages of both a forward rotating cultivator and counter rotating deep soil tiller. The 9.0 gross torque engine is powerful and able to handle the conditions a homeowner might experience. The DRT900 has a sealed transmission for long life and a sturdy frame. One gear forward and one reverse, for easy operation. Tines rotate anti-clockwise, so the soil is broken up very well. 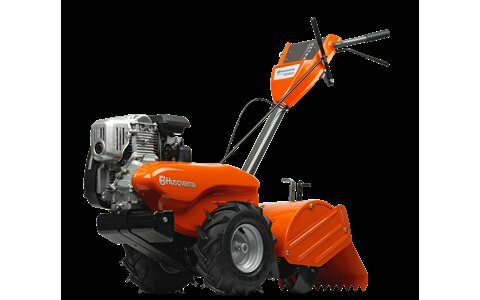 Capable of deep-digging heavy soil or preparing the surface for a seed bed. Large wheels with heavy treads for optimised grip.